In the late 1980s, I wrote a fan letter to Louise DeSalvo and asked if she would consider writing an introductory essay to the Signet Classic edition of Virginia Woolf's first novel, The Voyage Out. For a clueless, fledgling editor (me) to approach a famous, groundbreaking scholar like Louise was a little like asking John Lennon to come sing at your nephew's birthday party. Louise was a rock star. And a rebel. And to my astonishment she said yes and invited me to dinner. Would I have lasted 30 years in publishing without that friendship born over plates of ravioli in an East Side trattoria? I doubt it. I was her editor, yes, but she was my mentor. She had far more confidence in my talent and promise than I did at 26. Louise encouraged me, took an interest in my projects, pressed me to ask my bosses for a promotion, she even lent me one of her fabulous scarves to wear for an important presentation. This was feminism in action. It was also simply Louise's wonderfully generous nature. I was not content to work on one little essay with Louise. I was determined to publish her books. I signed up Conceived with Malice, a brilliant study of “literature as revenge” in the lives and works of D. H. Lawrence, Djuna Barnes, Virginia and Leonard Woolf, among others. Working on the book, I got a master class in the art of biography. Louise’s scholarship was prodigious and impeccable, her insights fresh and startling. The book nearly killed her, not because it was an epic undertaking, which it was, but because she keenly felt and lived with the deep hurts each of these great twentieth century literary figures suffered and inflicted. Literature was not just a dry page to Louise. It bled. And she was brave enough not to turn away from that fact. Eventually, it became my turn to do the encouraging. I wanted Louise to write her own memoir. I knew I was asking a lot. The project would involve confronting a difficult, traumatic past. I was asking her to wrestle with sexual abuse, suicide, depression. But I also knew the power Louise had, both on and off the page, to connect with people, to help them reconcile their distressing secrets with their life-saving dreams and ambitions. I felt the book would be important, and healing for many. It was and is. Louise’s memoir, Vertigo, has never been more timely as so many women are finding their voices and speaking up, testifying to the abuse, injustice, and damage they suffered and demonstrating inspiring strength and courage. Louise’s many books are a lasting tribute to her fearlessness and thoughtfulness as a writer. The beauty and clarity of her prose are there for us to enjoy. The deep understanding and companionship so much of her writing evokes will be a perennial comfort. Such a gift. Louise’s famous generosity lives on. * Rosemary Ahern is an independent editor living in Columbia County, NY. 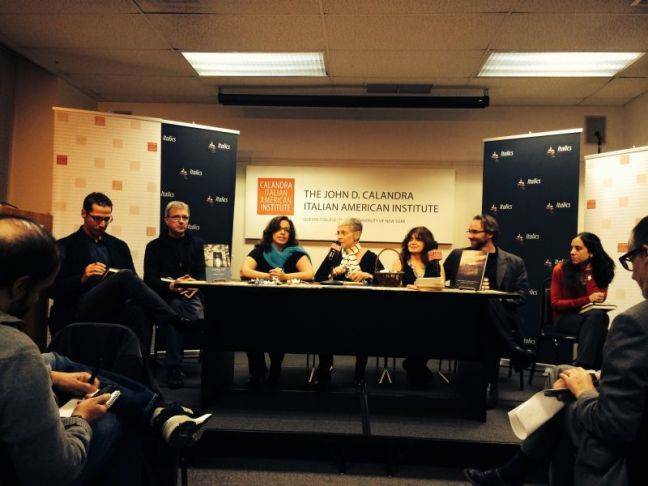 She was previously Editorial Director, Other Press, and VP, Director, Washington Square Press. 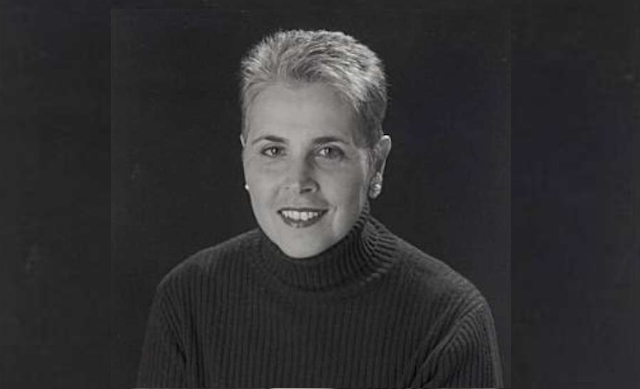 From 1987-2000 she held various editorial positions at Dutton/Plume where she had the privilege of working with Louise DeSalvo. One of the highlights of my career as a book publicist was meeting and working with the writer Louise DeSalvo. Finally, after years of working with authors on the publicity campaigns for their books, I met an Italian-American female writer whose life experience I understood as a small reflection of my own. Plus she was a Virginia Woolf scholar! 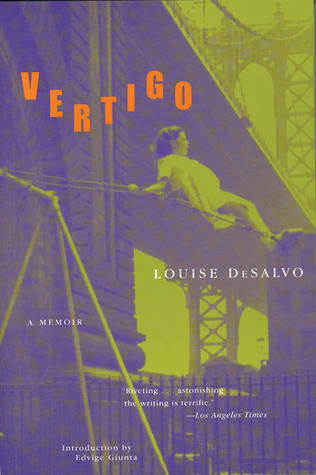 Her book was Vertigo: A Memoir, and it was Louise’s story about coming of age during the 1950s in Hoboken, New Jersey. Louise was rebellious, and desperate to form an identity based on her own desires, moving beyond the limits of her family’s working-class life. Exactly how I felt two decades later growing up in the working-class town of Inwood on Long Island. We had, somehow, both managed to escape the script written by parental and social expectations. Here was my role model, someone to look up to and emulate. By the time I met Louise I had worked long enough to know that authors I had dreamed of working with sometimes disappointed me, so I reminded myself to keep the relationship professional and do the best job possible on the publicity campaign for Vertigo. I needn’t have worried; Louise was the real deal. Not only a brilliant writer and an amazing professor, she was one of the most generous people I have ever met. Even now, many years later, I remember our in-depth conversation about a balsamic vinegar she raved about during one of our lunches. Several weeks later it arrived at my door. Another gift arrived (I don’t remember the occasion) shortly after: a necklace based on an Etruscan design which I still to this day wear. Even after her book’s publication and the great reviews that followed it, Louise and I kept in touch. When my son was born she wrote a lovely letter filled with prescriptive advice about breastfeeding that actually helped. That was just her way: she was wise and wanted to share her experiences with anyone she thought she could help. Louise DeSalvo was a literary powerhouse in the Italian American literary community who will be remembered not only for her groundbreaking work on Virginia Woolf but as one of the first to give the genre of memoir legitimacy as an academic subject. She inspired a generation of Italian American writers who deeply feel a personal and cultural loss. 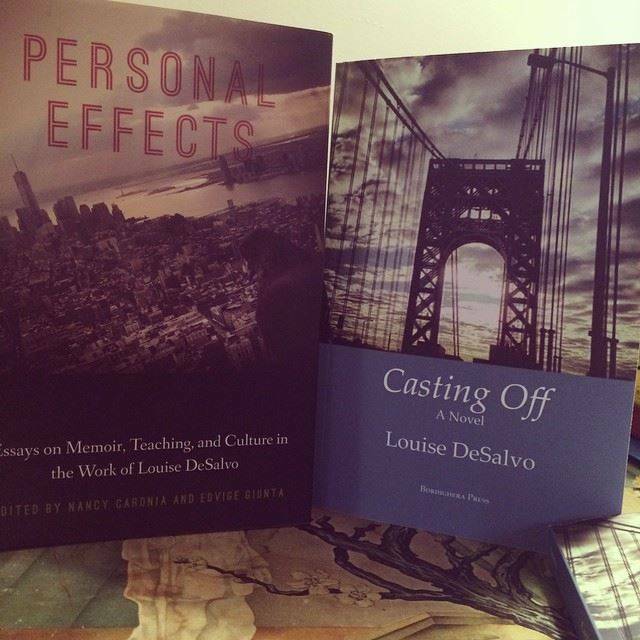 Louise DeSalvo truly believed that writing could change lives, and once we read her work, we did too. *Jennifer Romanello is a Professor in the MS Program in Publishing at Pace University. She was formerly VP, Director of Publicity at Simon & Schuster Children’s Publishing and Grand Central Publishing. I come from a family, from a cultural heritage, where women don’t go away to do things separately from men. That is not to say that men don’t go away to do things separately from women. They do. And often. But in the land of my forebears, women sit around and wait for their men. Or they work very hard and watch their children and wait for their men Or they make a sumptuous meal and they work very hard and watch their children and wait for their men. But they don’t go anywhere without their men. Or do anything for themselves alone without their men. Except complain. To their children or to anyone who will listen to them. About their men and about their bad luck in having been born female . . ..
Oh yes, I now remember what women who do anything without their husbands are called. Puttana. Whores. I remember hearing stories in my childhood about how women like that were stoned to death in the old country. Well, given a background like that, you can imagine the way I felt as we flew high about the Atlantic. There I was, a puttana, alone at last. Louise DeSalvo, Vertigo: A Memoir. New York: Dutton: 1996, pp. 219-220. BIO - Louise A. DeSalvo (born 1942-died October 31, 2018) was an American writer, editor, professor, and lecturer who lived in New Jersey. Much of her work focused on Italian-American culture, though she was also a renowned Virginia Woolf scholar. DeSalvo taught memoir writing as a part of CUNY Hunter College's MFA Program in Creative Writing, published over 17 books, and was a Virginia Woolf scholar. She edited editions of Woolf's first novel Melymbrosia, as well as The Letters of Vita Sackville-West and Virginia Woolf, which documents the controversial lesbian affair between these two novelists. In addition, she wrote two books on Woolf, Virginia Woolf: The Impact of Childhood Sexual Abuse on Her Life and Work and Virginia Woolf's First Voyage: A Novel in the Making. DeSalvo's publications also include the memoir, Vertigo, which received the Gay Talese award and was also a finalist for Italy's Primo Acerbi prize for literature. Vertigo holds as one of the most widely taught Italian American books and has been said to influence almost every Italian American memoir written since.DeSalvo's memoir, Crazy in the Kitchen: Food, Feuds, and Forgiveness in an Italian American Family, was also named a Booksense Book of the Year for 2004. One of DeSalvo's most popular books to date is the writer's guide Writing as a Way of Healing: How Telling Our Stories Transforms Our Lives.